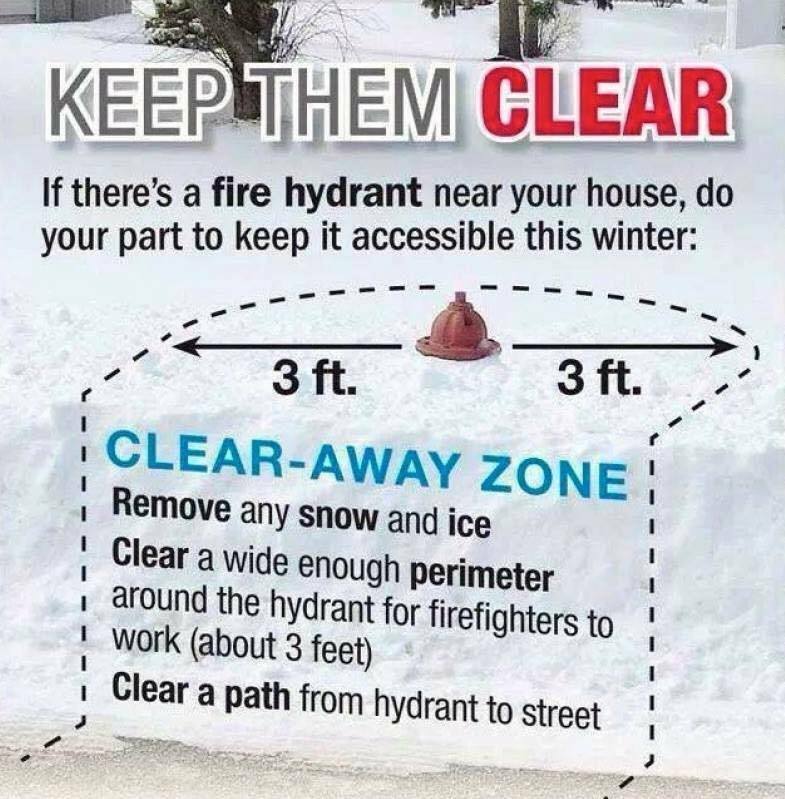 Winter Fire Safety: Keep Fire Hydrants Clear of snow! In an emergency, every second matters. Fire hydrants that are blocked, concealed or difficult to access due to snow or ice can impede emergency fire response. Keeping them clear can mean easier access to water and more time doing what really matters — fighting the fire.